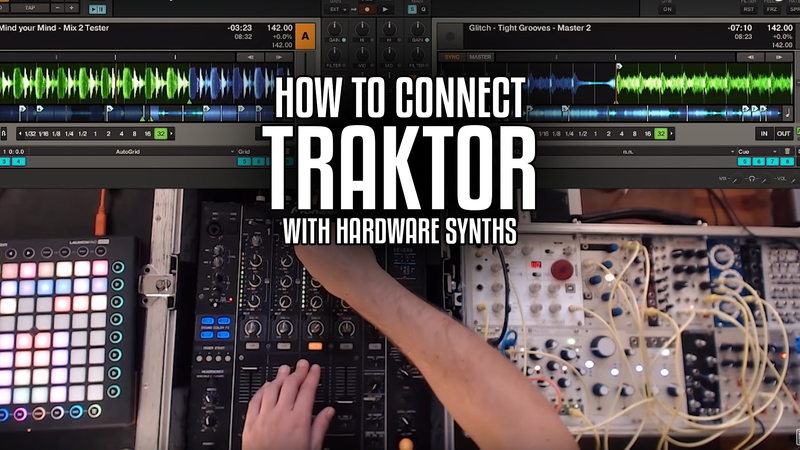 One of the key aspects that sets Native Instruments Traktor apart from most of the other DJ software platforms on the market is the wide configurability. 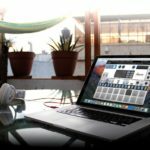 Most people don’t know this, Traktor has the ability to act as a MIDI Master Clock – giving you the ability to not only sync multiple system, also sync a variety of hardware synths and other gear to Traktor’s Master Clock tempo. The little Play/Pause icon in the Clock section enables that. 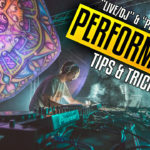 This works with most synthesizers that have internal arpeggiators and sequencers and makes it incredibly easy to synchronize your mix with some live elements. 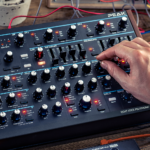 Simply set up your synth to receive clock from the MIDI input, sometimes referred to as “ext. clock” on the synth’s menu. 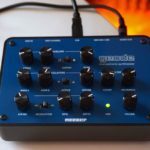 It’s also really handy if you’re using external effects that rely on tempo, such as delays. I really enjoy the flexibility that modular synths offer and syncing one up with Traktor is actually a lot easier than you’d think. 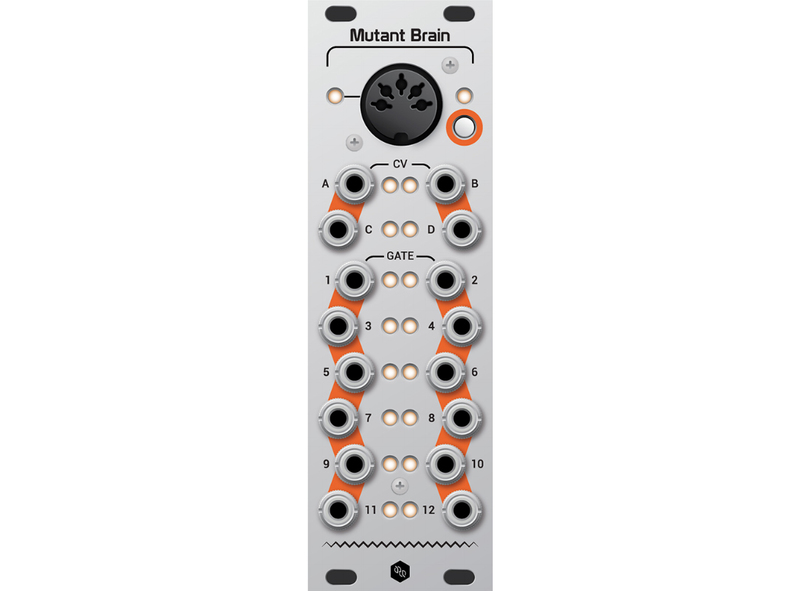 There are various modules available for converting MIDI to CV/Gate, however I’ve chosen to go with the Hexinverter Mutant Brain because it’s super configurable. In fact, each of the 4 CV and 12 Gate outputs are freely assignable to clocks, clock Divisions, triggers, gates and CV. I’ve assigned mine to send a variety of clocks and clock divisions on the Gate channels and send Note CV on one of the CV outputs. This allows me to quickly tune the oscillators to the key of the track that’s playing, and all the rhythmic elements in the modular synth are synced to the tempo. 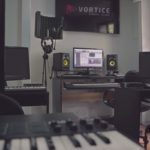 Most of the standard Pioneer mixers have a variety of decent sounding internal effects, so this also minimizes on needing to add extra effects into your rack – you could also potentially run the system through Traktor’s internal effects – however I prefer going direct into the mixer, there’s much less latency that way. 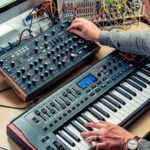 Novation Peak gets a host of new features in the new update!